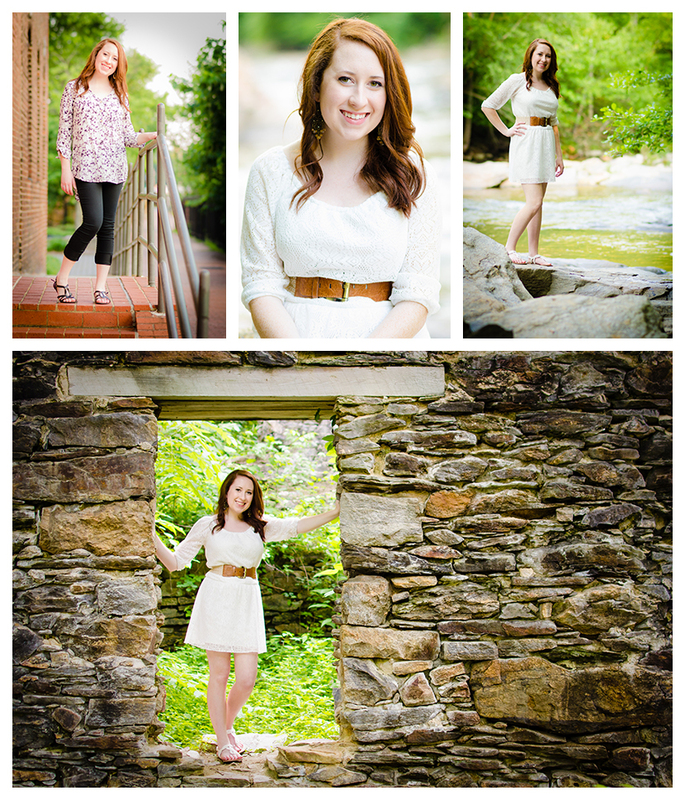 It was my pleasure to photography Breanna this past weekend for her senior pictures. This was her first photo shoot and she did a fantastic job. We started at her home in the late afternoon and later moved on to Sope Creek to pose by the old paper mill just outside of Atlanta. The weather was beautiful but hot. It was a pretty good hike to get to the location, but it was worth it. The mills were very cool. We thought we might be in trouble when a group of high school kids were having a water gun and water balloon fight in the ruins, but they were cool and stayed well away from us while we were shooting. Our last stop was Marietta Square and the sun was setting fast. When we arrived, I had forgotten how busy the square gets on the weekend. Lucky for us the "good light" was available away from the crowds and we got some great shots before the end of the day. It was an adventurous shoot and Breanna and her mom enjoyed it, at least I think they did. Hannah’s Class of 2019 senior photos. McEachern High School. Powder Springs, Georgia. Photo shoot with Skyler at Sope Creek Park in Marietta GA.
Halloween Family Portrait for 2017.